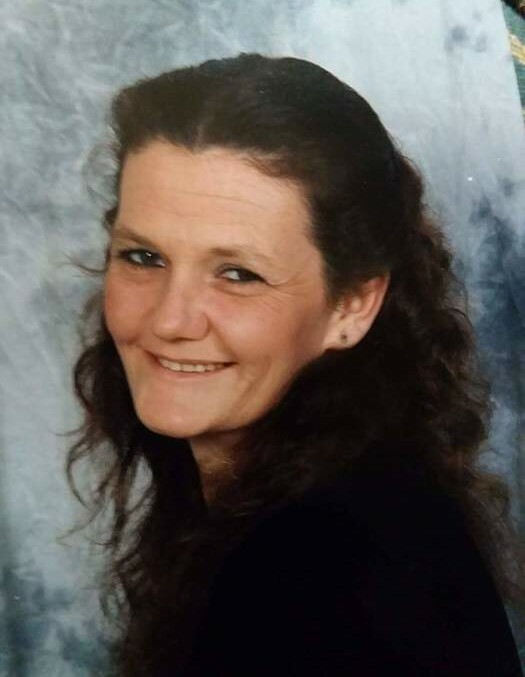 Lorraine Mae (Jacobs) Sluss age 55 died Monday August 20, 2018 at 5:10 p.m.. She nourished people around her with love. She was born in Fallon, Nevada to Jim and Dolores Jacobs, and was the baby of three children. She worked at IU campus in the Maxwell Hall. Lorraine truly loved life to the fullest through simple pleasures; chatting with friends and family, and spending time with her kids and grandkids. Lorraine is preceded in death by her dad, Jim and brother, Jake. She is survived by her beloved husband Rick of thirty years; her mother Dolores; and Cheryl her sister. Lorraine is leaving behind five children, Stephanie (Ricky), Eddie (Hope), Laura (Jim),Caleb (Laura) and Candy (Mark): ten grandchildren, Haley, Damian, Gabriel, Arry, Zoey, Madi, Mathew, Tasha, Ashley, and Scarrlet. Lorraine had countless number of nieces and nephews who all loved her very much. Family, friends, and others whose lives Lorraine touched are more than welcome to be invited to Harvey Jacobs house for a Celebration of Life 2730 Old State Road 37 North, Springville, IN 47462 starting at 1:00 p.m. on Saturday, August 25, 2018 to reminisce, grieve, support each other and of course just chat.